2, can be steel pipe or cable wiring. 5. Can be customized according to customer requirements, such as the installation of surge protector, ammeter, voltmeter, etc., can be equipped with a padlock metal handle. 6, in line with GB3836-2000, IEC60079 standard requirements. 8. Introduction port specification: G3/4 "-G1 1/2"
10. 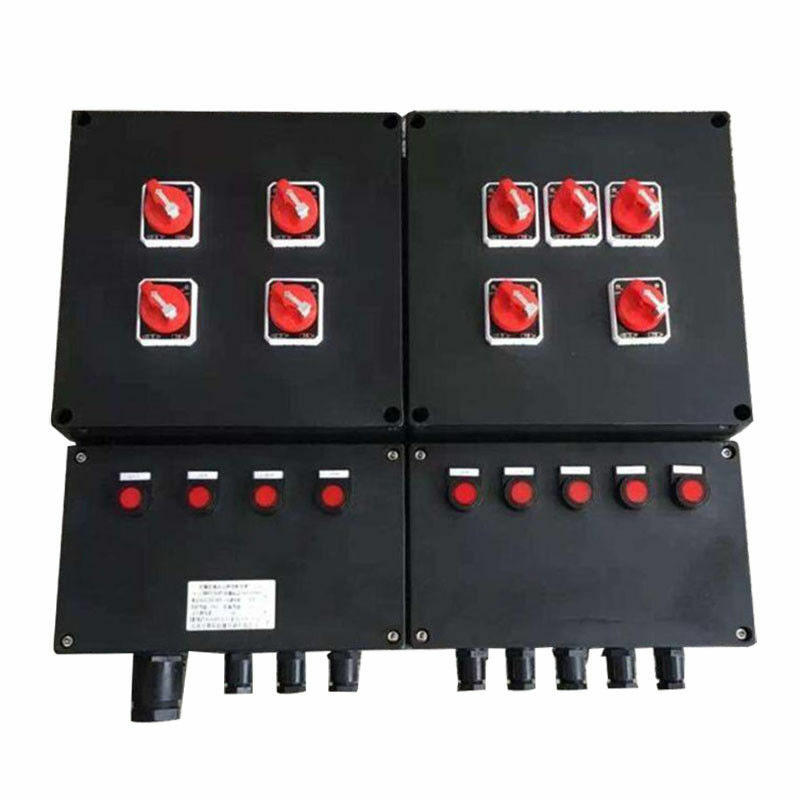 Built-in components: explosion-proof button BA8050, explosion-proof indicator BD8050, this series of products is generally configured with red stop, green start; explosion-proof switch BK8050 series, explosion-proof electric meter CP series.